While being Spider-Man would be amazing this film really isn’t, but it is quite good nonetheless even though (profit aside) it has absolutely no reason to exist. Rather than just run a side-by-side list of how this stacks up plot-wise versus the Sam Raimi version in the early 2000s I will treat this as an entirely new film, even though there are many similarities. Peter Parker’s parents picked a peck of pickled peppers… no wait. Start again. Of course when this initially occurred Peter was a little too young to realise how odd this was, and he grew up a smart young well adjusted lad in any case with his loving Aunt and Uncle. After coming across his Dad’s long lost briefcase Peter is lead to Oscorp, a research company where Curtis Connors (Rhys Ifans) works. Connors was Peter’s late Father’s best friend and working ally. Now try to keep up here. One tip might be to ignore your many thoughts of ‘whaaaaaatttttt???’. In a span of 15 minutes Peter manages to fool his way into the facility to come face to face with Gwen Stacey who unbeknownst to him is an intern there (wha-), before breaching the top secret area undetected (whaaa-), being bitten by special spiders (ok that’s kinda expected) and turfed. No gradual realisations here. After a brief power nap Peter instantly realises and instinctively utilises his new many special powers, which include massive strength, agility and general spider-i-ness. Like most teens from this point on Peter is quite sticky and secretive – but in ways and for reasons quite unlike most teens. Time passes and aside from enjoying the novelty value Peter has no real plans for his new abilities, until a moment’s inaction and a poor choice inadvertently leads to Uncle Ben’s untimely death in freak circumstances. Now Peter has something to focus his attention on. And Spider-Man is born. Again. Oh and meanwhile Curtis Connors is a giant angry lizard who thinks New York City should also be a lot more lizardy. Probably should mention that too. Pretty much your standard ‘old school’ superhero film from here – and not a bad one. The strength of the film is in the casting, Garfield is both capable and likable as Parker, Stone’s big eyes and confidence always compelling, and Ifans is solid in his scientist/lizard combo role (though in truth the Lizard doesn’t come across as that daunting a villain). Final Rating – 7.5 / 10. Strangely enough after a decade of Batman inspired ‘superhero with street cred’ stuff it is refreshing to see a film that boils everything to ‘good vs evil (while making sure you get the girl)’. 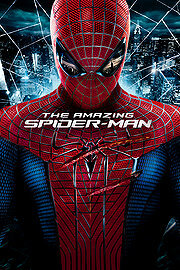 The Amazing Spider-Man might be totally unnecessary, but that doesn’t make it totally not worthwhile.